The European Parliament on Wednesday continued debating the rule of law in Hungary but this time without Hungarian Prime Minister Viktor Orban. 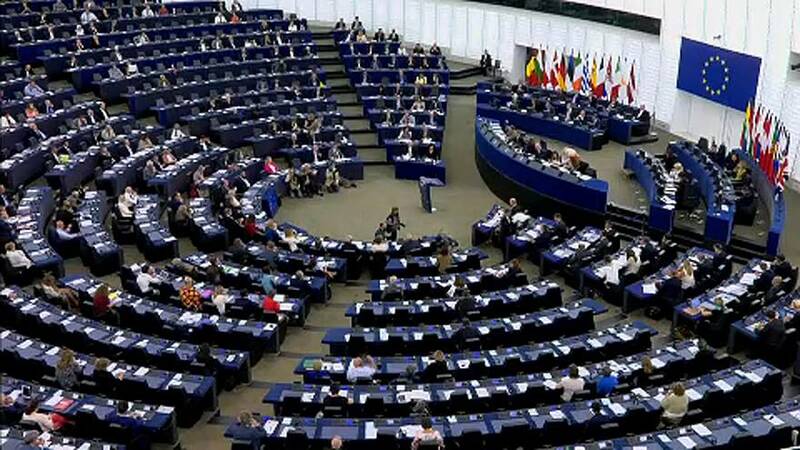 The debate was initiated by the European Parliament's Green Group. Many think that the Article 7 process against Hungary at the European Council was not moving forward because of the reluctance of other member states. “We haven't seen a lot of action. The Austrian presidency did not do a lot in the second half of 2018 and we are now also going to question the Romanian presidency on their action. "Next, to that, I think it's a show of solidarity to Hungarian citizens that went to the streets before and after Christmas trying to change their country for the better,” Judith Sargentini, a Dutch Green MEP, said. Greens, Socialists and Liberals expressed concern over developments in Hungary: the controversial extra hours rules, the departure of the Central European University and anti-government protests. The Hungarian government said the debate is a campaign event and refused to participate. “We won't participate at the Wednesday meeting or debate because it has no foundations. "It's a political campaign event in the European Parliament, where it does not belong,” said Zoltán Kovács, government spokesperson for Hungary. Laurent Pech, an expert in European law at Middlesex University, told Euronews that the EU was too late to stop Orban. “I think we are about six years too late and I would argue that the right time for the EU actors to get their act together was 2012 or 2013 when the European Parliament first raised serious concerns about the situation in Hungary. "So it is a real shame that the commission essentially has refused for so long even to subject the Hungarian government to this so-called rule of law framework,” Pech said. Last September, the European Parliament asked for the activation of Article 7 in the Treaty on European Union: a powerful mechanism that could result in sanctions on Hungary. However, EU heads of states and governments will have the final word on any punishment dished out to the country.